If you’ve ever been out looking for shed antlers, you know how much of a needle in a hay stack the search can be. The prized finds can mean big money depending on the size and whether you can find a matching set. Each spring, animals such as deer, elk and moose shed their antlers. That means somewhere out in the woods there is a payday just waiting to get picked up. 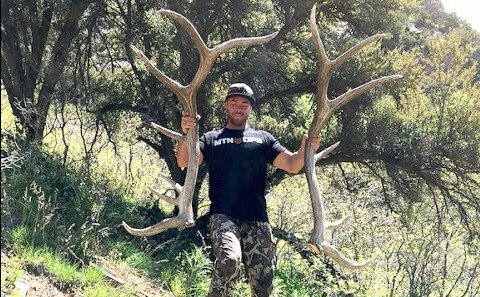 In a recent Youtube video featuring Eric Chesser from Hushin, we get a glimpse of shed antler hunting at its finest. Observing how Chesser lands these antlers offers plenty of tips for your own endeavors. For starters, Chesser posts up at a spot with a good lookout and uses his binoculars to glass the area. This can be a time consuming process, similar to glassing for animals but even harder because antlers don’t move and they blend into the surroundings. Finally he spotted one, but it was too late to make it there before sundown. So after marking the location, Chesser heads back out the next day. And lo and behold the matching pair was not far away. Each antler weighed about 15 pounds and measured 6 feet by 7 feet — massive for antler standards.